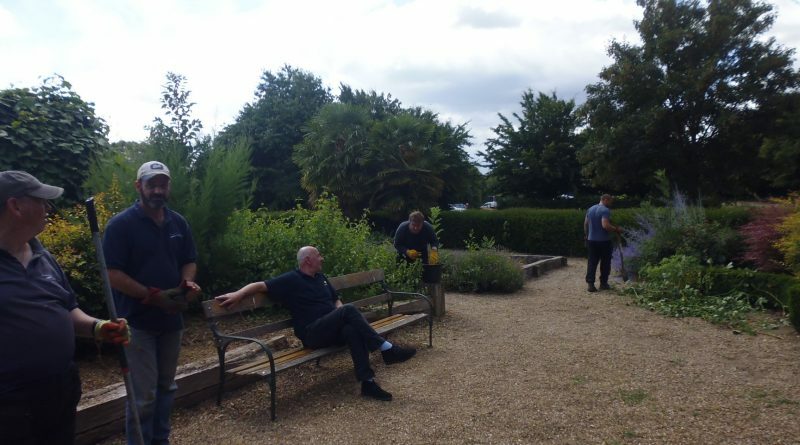 Even in the hot weather, Highfield Helpers were out in July to tidy up the Mediterranean Garden. Removal of brambles and clearance of weeds in the gravel. Liquid refreshment was provided in the form of cups of tea and some very handy benches provided a welcome respite!